Updated Thursday April 20, 2017 by Administrator ETFL. LOCATION: Bolton C Falby Public School. 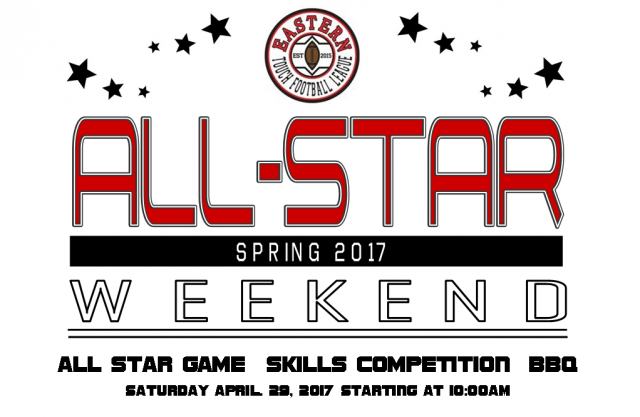 SKILLS COMP: Longest KickOff, Longest Punt, Longest Throw, Throwing Accuracy, ETFL's Fastest Man, Field Goal Champonship. Any questions can be directed to admin@easterntouchfootball.com. **limit of 12 'eligible' participants per kicking/throwing event. ***Volunteers to help run events would be greatly appreciated! Please talk to Buzz or Stu if you'd like to help out!